NKU is once again ranked nationally for the ninth year in a row as a Military Friendly school. 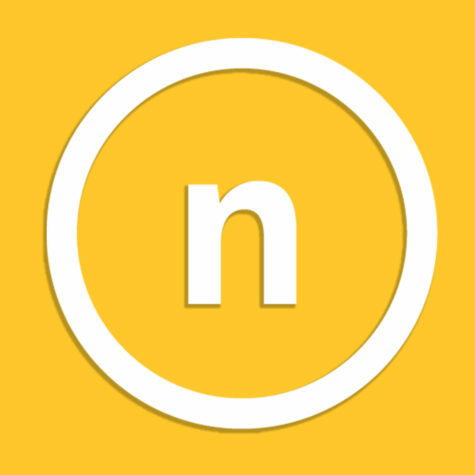 NKU received a bronze distinction meaning that they scored within 30% of the tenth best school in their category. NKU is also recognized for creating a supportive environment for veterans and a premier university for military personnel transitioning to civilian life, according to Military Friendly. “We have a facility that created the atmosphere for regulars, we’ve done fundraisers to support vets. We try to help the community as much as the student vets,” said Ralph Carmichael, coordinator for the Veterans Resource Station (VRS). Established in 2013 and located in the University Center, VRS is considered a home and a safe place for 493 enrolled veterans, active duty, family members, national guardsmen, reservists and ROTC students. NKU’s veteran community has a retention rate of 21% and a retention rate of 70% of full-time students with military ties. 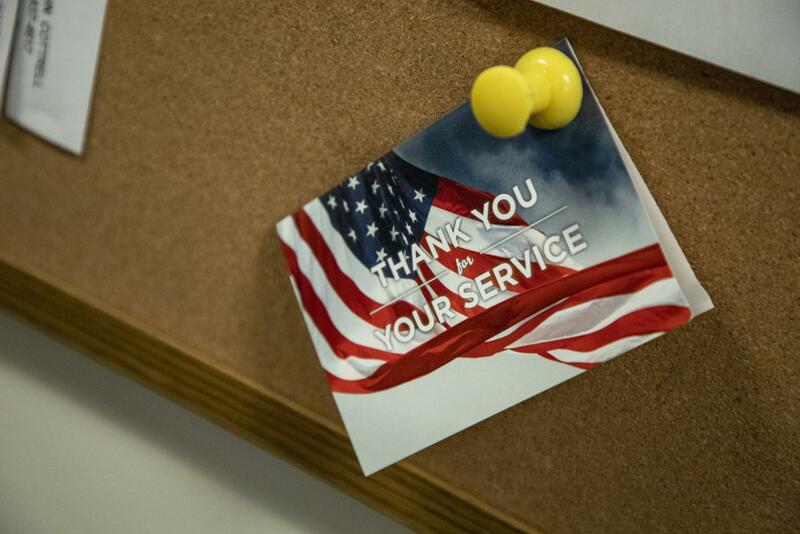 According to Ryan Padgett, assistant vice president of enrollment and student success and director of the Veterans Resource Station, people in the military rely heavily on one another and already have that built-in sense of belonging. When incoming students with a military background come to campus, they know there is a place for students like them. Students who identify with the VRS are a minority in the NKU community, Carmichael said. VRS wants their students to advance, succeed and complete their time in college at NKU. During freshman orientation, students with a military background in various capacities can join a breakout session specifically tailored to their needs. 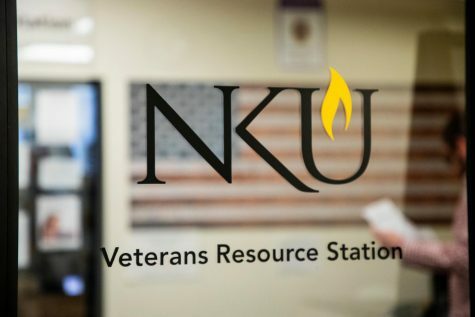 This is where students learn more about the VRS, Purple Heart parking spaces, direct connections to NKU’s mental wellness and disability services and Peer Advisors for Veterans Education (PAVE), a mentoring program that provides incoming students with a student veteran mentor. Christopher Schwab, a 36-year-old sophomore and Army veteran who served a tour in Iraq in 2003 and a tour in Afghanistan in 2012, said he understands the need for a “safe space” on campus. “The school makes that space available. It is an important asset, they do a hell of a job. If I go over there and I have a question, I can get good answers from people who have been in my shoes. I just wish there was more understanding amongst professors,” Schwab said. The VRS works directly with the U.S. Department of Veterans Affairs (VA). Every Monday morning around 10 a.m. for about four hours, a VA representative comes to the VRS to help with veterans concerns or needs. Although there is a place on campus that gives veterans a sense of belonging, there is also mislabeling and stereotypes amongst the non-veteran student community. Student veteran Mike Hayes said he hopes that the veteran community can break the stigma that they are too rough to associate with or lack empathy. According to Carmichael, everyone who identifies with the military did not go to combat and doesn’t necessarily have PTSD. This is a common stereotype and misunderstanding that non-veteran civilians have. “They were just guys and ladies that served; they went in to serve their country. Some went to combat and saw some hardships,” Carmichael said. Typically, student veterans are considered “non-traditional,” meaning they are either older than typical undergraduate students or they started college later. During freshman orientation, students with a military background in various capacities can join a breakout session specifically tailored to their needs. “It is intimidating. I’m 36 years old. The people I’m dealing with here are straight out of high school,” Schwab said. The veteran community is continuously growing every year; with time and funding, the VRS can become a more relaxing and larger location for the veteran community. “For us, it is really about supporting the veteran at all stages; not only the transition from military back to civilian and education but the next step from education to career readiness,” Padgett said.